 Everlytic gives you the power to implement complex email marketing campaigns with ease. Our large-scale sending infrastructure ensures fast delivery and the best delivery rates, all while remaining fully POPI compliant. Everlytic’s smart system allows you to organise your contact data into one central location for effortless list management; coordinating your subscribers and gaining insight on every interaction. Store and manage your contact data in one place by uploading, copying, importing, or integrating your contacts from other digital systems. Set up your own custom fields to gather specific information about your contacts in your database, personalise subscription forms, and manage subscriber preferences. Track each contact’s interaction with your campaigns, using data to segment, filter, and personalise messages according to individual interests and behaviours. 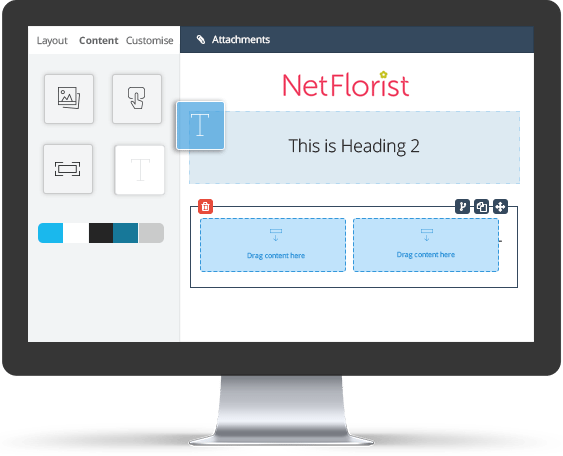 Everlytic’s drag-and-drop email builder enables you to create professional and visually appealing mailers quickly and effortlessly. Once you’ve segmented your contacts into groups according to properties, preferences, and requirements, our Dynamic Content feature helps you to refine what each of these groups can see in an email. Let your contacts know they are important to you by customising your emails to their interests. Pull your content into a template to fine-tune your design into the perfect email. With Everlytic’s campaign optimisation features, in-depth reporting, and real-time tracking, you’ll spend less time crunching numbers and more time planning powerful campaigns that boost your ROI. Detailed tracking lets you know exactly who’s reading your emails. Drill down into contact interactions to discover how many times a contact opens your email and even where they are when they open it. Heat maps and user reports show which parts of your emails interest your readers most, which email programmes they use, and whether they use desktop or mobile devices. Reports and marketing intelligence give you a deep understanding of how your contacts prefer to engage with you, so you can optimise your campaigns and make real client connections. Everlytic’s in-depth marketing metrics and rich personalisation tools help you to gauge how your contacts interact with your marketing messages so you can tailor them according to their interests. This helps you to connect with your clients on a personal level and build a loyal following for your brand.